A-CP(A) Universal Cheese Plate and 15mm Clamp Adapter is rated 5.0 out of 5 by 4. Rated 5 out of 5 by Timothy C. from Solid Cheeseplate This thing is a solid chunk of aluminum. Couldn't ask for more in build quality. My only qualm is that it doesn't work with the Anton Bauer plates. This may seem like a no-brainier, so I asked a B&H rep if it does work with AB plates and was told that it does. However, only two of the mounting screws fit. I like it so much more than any other plate though, that I'm going to keep it and just tap some screws in there! Haha! Rated 5 out of 5 by Kent from A cheeseplate? Yes, a cheeseplate. The Gouda was grand. The Stilton a bit off. But what's wrong with Wensleydale? They passed it around apres le diner, a fine thing. I mean it met expectations. But what about the Domestics? That's more difficult to fix, so don't even bother to try. Rated 5 out of 5 by Jesse from Strong sturdy product This cheese plate is strong and sturdy and fits perfectly on my shoulder rig. I use it to hold an external battery to power my BMCC and it works perfectly. Rated 5 out of 5 by KimberlyChicago from Perfect vertical V-mount cheeseplate Designed for V-mount battery plate with matching screw holes. I attach digital recorder to the other side for a one-piece rail mounted external recorder. Would this cheese plate work with gold mount battery plates as well? Specifically the Wooden Camera Gold Mount to Pocket Cinema Camera plate. Cheese plates like this are ambidextrous so you can switch to V-Mount to Gold Mount as the need arises. Does this come with screws? It does not come with screws. 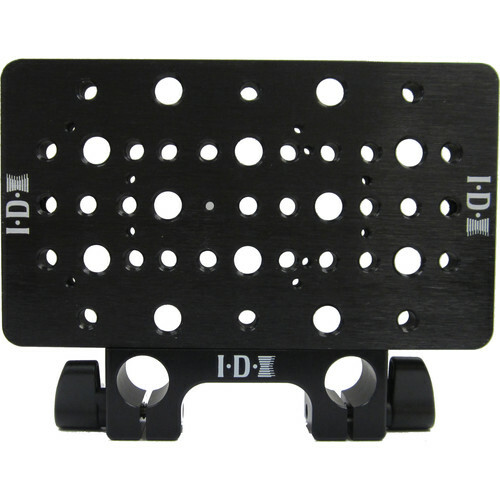 Usually the screws will be included with the products you are attaching to the cheese plate, such as a battery plate.